Major depression is one of the most common mood disorders in HIV-seropositive individuals, and it was the earliest reported mood disturbance of HIV. Rates of depression in HIV have varied widely across studies due to differing sample populations, which are difficult to compare as they share little else in common other than their HIV serostatus. The landmark HIV Cost and Services Utilization Study (HCSUS) identified high rates of drug use (50%), major depression (36%), anxiety disorder (16%), and heavy drinking (12%) among a large representative sample of adults receiving care for HIV in early 1996 (Bing et al., 2001; Galvan et al., 2002). The HCSUS study remains the most well-designed and comprehensive study of the prevalence of psychiatric disorders in an HIV-infected population, although other studies provide snapshots of the high rates of comorbid psychiatric disease in this population (Winiarski et al., 2005). Depression is the most common reason for psychiatric referral among HIV-infected patients (Seth et al., 1991), and rates of major depression range from 8% to 67% (Acuff et al., 1999); however, up to 85% of HIVseropositive individuals report the prevalence ofsome depressive symptoms (Tate et al., 2003) that may not reach diagnostic threshold for a major depressive disorder diagnosis. 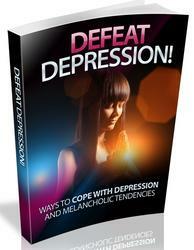 Examples would include minor depressions and dysthymia. This may especially be true when taking into account the prevalence of depression in other medical illnesses that are comorbid with HIV, including HCV, end-stage renal disease, diabetes mellitus, and other endocrinopathies. Indeed, the impact of HIV disease on mental health was illustrated by a meta-analysis by Ciesla and Roberts (2001), who found that HIV-infected patients were almost twice as likely to be diagnosed with major depressive illness, irregardless of the symptomatic status of their HIVdisease.Theprevalenceand epidemiology of mood disorders are covered more extensively in Chapter 4 of this text. The early recognition and treatment of serious psychiatric mood disorders such as depression can both alleviate suffering and prevent suicide, covered in more detail in Chapter 18 of this volume. Clinicians need to be aware of particular times during the course of HIV-related illness when individuals may be more vulnerable to suicide as well as psychiatric disorders and other precipitants that may lead to a suicidal crisis. The pharmacological treatment of depressive illness in persons with HIV and AIDS is guided by both data supporting the direct efficacy of a particular anti-depressant and consideration of the adverse-event profile of the agent. Multiple studies of depression have demonstrated that effective treatment not only reduces depressive symptoms but also improves associated quality of life. Importantly, recent evidence has begun to emerge that treatment and resolution of major depression are associated with immune status in HIV patients, which has provided new impetus to the accurate diagnosis and treatment of mood disorders in this population. While multiple studies have supported the efficacy of using antidepressants as a primary therapy for depressive illness in HIVseropositive patients, little comparison data exist between antidepressants. These topics will be considered in further detail in Chapter 32. Tricyclic and selective serotonin reuptake inhibitor (SSRI) antidepressants are metabolized through a variety of P450 pathways including 2D6, 1A2, 3A4, and 2C. The oldest SSRI, fluoxetine, is a potent inhibitor of 2D6 and 3A4, and has an extended elimination half-life of approximately 6 weeks when considered with its potent metabolite norfluoxetine. Sertraline, citalopram, and escitalopram have few potential drug-drug interactions, but all can have gastrointestinal side effects including nausea, vomiting, and diarrhea, as well as sleep alterations, weight changes, sexual dysfunction, and extrapyramidal effects such as a high-frequency, low-amplitude tremor. The tricyclics produce significant anticholinergic effects and may induce delirium, cognitive slowing, urinary retention, dry mouth, and orthostasis; these are not recommended for routine use in this vulnerable population. Similarly, monoamine oxidase inhibitors are not recommended for patients with HIV and AIDS. This class of medications poses an extraordinary risk, since persons with HIV and AIDS are often on complex and frequently changing drug regimens and also have the concurrent risk of hypertensive crisis if exposed to certain foods or other medications. These include epi-nephrine for asthma or meperidine for prevention of rigors from amphotericin B treatment of cryptococcal meningitis or other fungal infections (Cohen and Jacobson, 2000). Psychotherapeutic intervention can have a profound impact on the severity of depressive illness, and multiple studies have supported the efficacy of cognitive-behavioral therapy in treating major depressive illness and reducing the risk of relapse (Hollon et al., 2005), increasing adherence to HAART therapy (Parsons et al., 2005), and having a possible protective effect on the immune system for up to 1 year after completing therapy (Carrico et al., 2005). Importantly, it has been offered in a group therapy model to HIV-infected patients with good success (Blanch et al., 2002). Similarly, interpersonal therapy (IPT) has demonstrated efficacy in treating major depressive illness in HIV disease (Markowitz et al., 1992, 1995), and IPT may offer advantages to patients who have been recently diagnosed with HIV/AIDS or have recently progressed in their disease severity. IPT is notable for its brevity and can successfully focus on the common problems encountered in HIV disease, including grief, changes of life after disease diagnosis, role identity during times of illness progression, interpersonal disputes related to family strife surrounding diagnosis, issues of homosexuality or drug abuse, and support of existing coping strategies. Other psychotherapeutic modalities include psy-chodynamic therapy (brief and extended) as well as supportive therapy, which can work to maximize existing coping strategies in times of heightened stress or turmoil. The role of support groups and other psychosocial interventions within the larger context of psychotherapeutic strategies cannot be underestimated; these will be addressed in more detail in Chapter 27. As noted in the chapter segment on depression, HIVseropositive individuals are at an increased risk of developing mood disorders across the spectrum of their disease as compared to the general population. Mania can occur at any point along the course of HIV illness, but the occurrence generally clusters into two categories: (a) a preexisting bipolar disorder that predated HIV seroconversion or is not directly related to the disease, which can occur at any point during the course of the disease; and (b) the late-stage manic syndrome that occurs most commonly but not exclusively in the context of HIV dementia (Lyketsos et al., 1997; Treisman et al., 1998). Primary bipolar disorder is more likely to appear consistent with the usual course of the illness, including euphoric mood, expansiveness, and signs or symptoms of poor judgment. In addition, the presence of a family history of bipolar disorder is more common in this category, and it is less likely to be associated with a preexisting condition. AIDS mania, though, has been noted to be associated with marked cognitive deficits, a pronounced irritable mood, and greater severity coupled with a rather dismal prognosis (Lyketsos et al., 1993, 1997). It is has yet to be determined whether there is an increased risk of primary bipolar affective disorder type I in HIV patients, but a few studies have reported an increased prevalence of bipolar type II disease, cyclothymia, and hyperthymic personalities in HIVpositive patients (Perretta et al., 1998). Large-scale epidemiologic studies are required to better define the incidence and prevalence of primary bipolar illness across the spectrum of HIV illness; this topic is further addressed in Chapter 4. The choice of an effective mood stabilizer in treating patients with bipolar disorder and concurrent HIV disease is complex, and is based both on available supporting evidence of primary efficacy and the potential for pharmacological interactions and potential adverse events. At the time of the writing of this chapter, four mood stabilizers had been approved by the U.S. Food and Drug Administration (FDA) for the treatment of primary bipolar disorder, and of these four agents, three were anticonvulsants — carbamaze-pine, valproate, lamotrigine, and lithium. There are no data comparing the efficacy of these agents to each other in treating and maintaining bipolar disorder in HIV-infected patients, and there is a dearth of evidence on even the use of any one agent in HIV disease. The use of carbamazepine is complicated by its induction of the P450-3A4 isozyme, through which protease inhibitors are often metabolized, which may result in subtherapeutic serum concentrations of antiviral agents and the development of viral resistance (Hugen et al., 2000). This is phenomenon particularly troubling, given that resistance to protease inhibitors commonly occurs across the entire class of medications rather than being limited to a single agent (Barry et al., 1997). Carbamazepine also carries significant risk of anticholinergic delirium, which is especially problematic in individuals suffering from an underlying dementing process such as late-stage AIDS. Therefore, at this time, carbamazepine cannot be recommended as a first-line agent for the treatment of bipolar disorder in an HIV population. The use of valproate derivatives, including di-valproex, is a standard first-line therapy in idiopathic bipolar disorder, and may have relative advantages in the management of atypical bipolar disorder over lithium and atypical antipsychotics in patients with HIV illness (Halman et al., 1993) such as a low potential for medication interaction via cytochrome P450 isozymes (Ketter et al., 1999; Ethell et al., 2003). Its use in patients on HAART is complicated, however, by the potential for multiple drug-drug interactions via non-P450 mechanisms as well as the potential for extrapyramidal reactions in this population. Valproate has also been associated with thrombocytopenia, hepatic dysfunction, and pancreatitis, which are adverse events that overlap significantly with those associated with antiretroviral therapies (RachBeisel and Wein-traub, 1997). The complexities of these issues will be further explored in Chapter 32. Valproate in patients with hepatitis C coinfection deserves special caution (Felker et al., 2003), however, as cases ofhepatic failure and hyperammonemic encephalopathy have been documented with valpro-ate use even in otherwise healthy adults (Konig et al., 1994). The implications of these findings are especially pertinent for HIV-seropositive intravenous drug users, whose incidence of comorbid HCV is greater than 90%. Persons with HIV/HCV coinfection are especially vulnerable to hepatic complications because of the typically more rapid progression of their disease due to the combined, synergistic effect of HIV and HCV (Brau, 2005). Lamotrigine is approved by the FDA for maintenance treatment of primary bipolar disorder, but studies examining its use in secondary mania have not been performed, and its relatively long titration period prevents its use to control acute episodes. Lamotrigine is not significantly protein bound, and its metabolism occurs primarily through beta-oxidation with minimal effect on the cytochrome P450 system, making it advantageous when used concurrently with protease inhibitors. It also has significant efficacy in the treatment of painful HIV-associated neuropathy, as demonstrated by Simpson and colleagues (2003) in a randomized, placebo-controlled, double-blind study. However, to date it remains an uncommon agent for treating HIV-associated mania because of concern over potential interaction with the antiretrovirals and the required slow titration schedule. 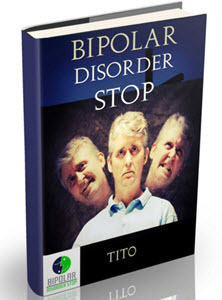 All atypical antipsychotics have been approved by the FDA for the acute treatment of manic states associated with primary bipolar disorder, and many have secured maintenance indications for primary bipolar as well (Tohen et al., 2000, 2004; Yatham et al., 2003; Bowden et al., 2005; McIntyre et al., 2005; Potkin et al., 2005; Smulevich et al., 2005; Vieta et al., 2005; Sachs et al., 2006). However, no controlled trials of any atypical antipsychotic medication have been performed for either HIV-associated mania or primary bipolar disorder in HIV-seropositive patients. The use of risperidone in HIV-related psychosis including AIDS-associated (secondary) mania is supported by a case series by Singh and colleagues (1997). However, experience dictates considerable caution when using this agent, as it can provoke severe extrapyramidal reactions, including opisthotonus in our experience. The use of atypical agents is complicated further in HIV patients by the extensive P450 metabolism required of these agents (Meyer et al., 1998), exemplified by a single-dose pharmacokinetic study of olanzapine and ritonavir in healthy volunteers. The study's authors found that concurrent administration effectively reduced the mean half-life of olanzapine from 32 hours to 16 hours (Penzak et al., 2002). This suggests that patients concurrently receiving ritonavir and olanzapine may ultimately require higher doses to achieve similar therapeutic benefit. Little data exist to date regarding other atypical antipsychotic agents in the treatment of HIV patients. Lithium has been a mainstay of mania treatment, and is the oldest and best characterized mood stabilizer. Its use in HIV and AIDS patients, however, is commonly precluded because of its expansive list of adverse events. The major problem with lithium in treating AIDS patients is the unpredictable fluctuations in serum blood levels due to a variety of mechanisms, making toxicity an ever-present consideration. Shifts in electrolyte balance via sweating, vomiting, diarrhea, or metabolic alkalosis can lead to dangerous elevated lithium levels, as can failure to adequately excrete the drug due to renal impairment from HIV-related nephropathy and heroin nephropathy. Thus, the use of lithium in persons with HIV or AIDS should be exercised with extreme caution (Cohen and Jacob-son, 2000).